Here’s the second part of that interview with Jesse May, conducted just about four years ago in the spring of 2011 (Part 1 here). In this part we focus more particularly on the story behind Late Night Poker, the first series of which appeared in 1999. That picture down below of the two of us, by the way, comes from this year’s PokerStars Caribbean Adventure where I had a chance to interview Jesse once again for the PokerStars blog (photo by Neil Stoddart). This week we present the second half of my conversation with poker player, author, and commentator Jesse May. 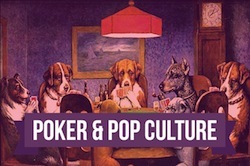 After focusing primarily on May’s 1998 poker-themed novel Shut Up and Deal, we turned our attention to the early days of Late Night Poker, the groundbreaking show that debuted in the U.K. on Channel 4 in the summer of 1999. Short-Stacked Shamus: Late Night Poker is one of those shows I’ve always been curious to learn more about. A lot of fans of poker on television -- especially those of us over here in America -- don’t necessarily realize how important and influential Late Night Poker really was when it comes to televised poker. What are some of your memories from the show’s early days? Jesse May: I remember the whole thing very well. It was one of the most formative things in my life, really. I was invited as a player for the first series. I had become friendly with Nick Szeremeta. My book [Shut Up and Deal] had been out, and I was spending more time in Europe around that time. I had recently gotten married and was trying to get some gigs as a writer, and Nick was getting me some work. Nick had been contacted by Rob Gardner [the show’s original producer] to help get players for the show. In fact, they’d had a lot of trouble getting players for this first series of Late Night Poker. Most people turned them down. At the time I was on the way to going broke. After about five years I was kind of at the tail end of my professional poker career. And the action had been drying up a little bit. SSS: What was the buy-in for that first series? JM: The buy-in was £1500. It was a massive, massive buy-in (laughs). At that time there might have been three tournaments during the entire year with a buy-in bigger than £1500. And I had about £1800 to my name... that was it! And I can’t remember why, but I felt like I needed to be a part of this. And as it turned out, most of the people who showed up at that first series of Late Night Poker had the same sort of idea. In that first series there were maybe three or four legitimate pros -- Dave “Devilfish” Ulliott, Surinder Sunar, and a couple of others. There really weren’t many, a lot of the pros had turned it down. Everybody else, we were all just kind of chancers in a sense. But for some reason I felt like I had to be part of it. SSS: So they taped all of the heats for that first series at once. JM: Yes, it was in Cardiff in the spring... it must have been April. I remember I played in the very first heat. Back then, all the players who had bought in got a free hotel room for the week, which was quite a big bonus (laughs)! [That meant] everyone showed up and stayed all week. So I played in the first heat, and I embarrassed myself, basically. I didn’t know anything about tournaments -- I probably hadn’t played 10 tournaments in my life! I ended up getting third in the heat. I got knocked out after going all in with something like 9-3-offsuit... it was pretty embarrassing. People were giving me pretty awkward looks as I walked out the door (laughs). So then I had the rest of the week to hang out, and I had those thoughts: “What the heck am I going to do next?” I thought I might be back to selling storm windows or something. SSS: But then you ended up being brought in to be a commentator on that first series. JM: Yes. In fact, the original idea for Late Night Poker was that there would be no commentators. They filmed it thinking that the table talk was going to carry the show. Today that might work, but back then nobody had been on television before. Everybody just froze up! Aside from maybe the Devilfish there might not have been ten words said during the entire tournament. So the producers were panicking a bit and they decided they were going to have to have commentary. And I volunteered to do it for free. I said I’d be happy to do it, that it sounded like a great idea. I was just thinking, really, at least I can try and give some explanation for being such an idiot -- you know, maybe I won’t come across so badly (laughs). And [I was also thinking I would] maybe get a chance to promote my book or something, although I didn’t really even think that through. Who knew at the time that would actually turn into a career for me! SSS: The show really was pioneering. When it first aired in July 1999, we were still about four years away from the World Poker Tour debuting and Moneymaker’s WSOP victory being shown on ESPN. JM: The thing about Late Night Poker that most people don’t realize, it wasn’t just the first poker TV show. I mean, it was that. And it was the first to use the under-the-table hole card cameras. But if you go back and watch those first few series, what made it great and the reason it took off was because of the way it was edited and the way it was filmed. 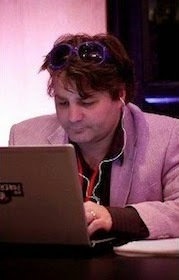 Rob Gardner was the producer of the first three series, and Rob really understood that it wasn’t enough to just show everything. He knew that what was going on here was a mini-drama, and it was filmed and edited to show that. I’m talking about the shots, the way they used to reveal the hands, the way they used to show the decisions being made... plus the atmosphere! The shots of cigarette smoke and looking up at the players from under the table... the fact that they used the under-the-table cameras -- and still do, in Europe, for a lot of the stuff, while in America they use the hole-card cams and put the graphics on afterwards -- that shot of the camera from under the glass, with the person’s cards and then his face, was such a new and exciting and dramatic type of shot! SSS: You’re right, that low-angle shot looking up at the player, who now has the knowledge of the hole cards -- a secret that we now know, too -- it’s very cinematic, really. JM:: Yes, and it all would be worked into [the telling of the story]. And when it took off, most of the people who watched it didn’t know anything about poker. 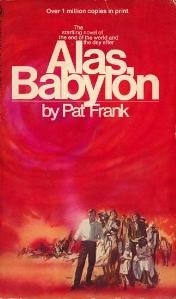 They were drawn in by the natural drama of the TV show. Later when the World Poker Tour started -- and I think the WPT and Mike Sexton are great and majorly responsible for the growth of poker -- it was really so much different. What they were really capitalizing on was the big money that they were playing for, and the “all ins” and things like that. It was not at all like what Late Night Poker had been doing. SSS: Well, it definitely works. Even going back and watching those old shows today, they definitely hold your interest. JM: Rob’s background is kind of interesting -- it was actually in dance. He was a modern dancer with a dance troupe or something like that, and didn’t know anything about poker. He was hired by Presentable Productions to come up with new ideas for TV shows. And he just came up with the poker idea out of the blue, and got in touch with Nick Szeremeta and it went from there. They sold it to Channel 4 in the U.K. which back then used to do some very, very out there kind of stuff, especially late at night. They used to have this thing called “4Later” or something like that when they would air these shows. It was the kind of idea that would never, ever get sold today. But they took a flyer on it and it just went from there. But Rob was really a driving force behind that. Rob passed away three years ago and the European Poker Awards set up an award in his honor. It was originally called the “Rob Gardner Poker Innovation Award” and I think now has been changed to the “Poker Personality of the Year,” perhaps because there aren’t enough innovators in poker anymore. JM: Yes, the lipstick camera and how Orenstein had come up with the idea of showing hole cards. And nothing could be further from the truth. It upsets me, obviously, to see Rob denied this because I was such good friends with him. Henry Orenstein was a poker player, of course. I used to play with him in Atlantic City. He was also an inventor and a toymaker -- he came up with the Transformers, I think -- and had many patents. And to get a patent on an idea, all you have to do, basically, is write three sentences on an A4 and get it through the committee. I think you can find the patent [for the hole card camera] online, and if you look at it, you’ll see it’s not even an idea. It basically just says “What if you could see the players cards when they are playing poker?” or something like that. And that’s it. 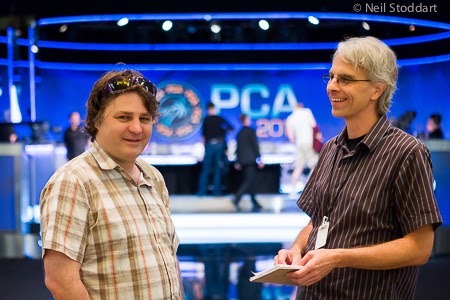 And so Rob knew nothing about Henry Orenstein when he came up with the idea for the under-the-table cameras for poker. But later on, when there was talk of putting Late Night Poker or something like that on in the U.S., all of a sudden Henry Orenstein found his patent and said “I own this.” And later when Steve Lipscomb got the idea for the WPT, even though it was expressed a bit differently, the idea was completely based on Late Night Poker. JM: It was an amazing time. I remember when the Devilfish won the first series of Late Night Poker, there was no question that he was the greatest winner of all. Nothing could have been better for poker or for televised poker than having the Devilfish win -- because of his personality and the fact that he really was a good player. Right after he won they threw a big party in the hotel at Cardiff, and everybody was there. Devilfish bought a couple of cases of champagne for everybody, and basically, besides the Devilfish, of the 40-something people who had played in this, at least 39 of us were dead broke (laughs)! We’d all gone broke in this tournament! Guys like all the Hendon Mob and myself and Mad Marty [Wilson]... we had gone completely skint. Yet there was such a fantastic feeling that night in the bar about what we had done. There was a real idea that something special had happened there. It was a great experience. I mean, we hadn’t seen the show and had no idea what kind of response it would get, but we just kind of felt that people were going to see what we loved about poker so much -- which is what ended up happening, really. It was a slow-burner, really, but it ended up growing, and there are so many people who got into poker through Late Night Poker. And I really give all the credit to Rob not only having the idea but being able to execute it. I think a lot of poker television, especially in America, has gone backwards in the sense that they’ve forgotten what makes the game interesting. It’s not that there is just too much poker TV and people have gotten bored with the game. It’s that they are not creating formats and they are not filming them in a way that conveys the natural drama of the story. SSS: I think about this issue in tourney reporting a lot, actually -- the challenge to find the “story” of the event. There’s kind of what might be called a “functional” approach to tourney reporting -- and this happens in TV shows, too -- where it is really just about delivering data with very little attention being given to the importance of creating characters or plot or something for the reader or viewer to be able to identify with on some level. JM: Yes, and in many cases you’re facing a much tougher task now than people used to, because there is no story! I mean, there is a story -- someone is going to win a million dollars -- but that story is completely uninteresting. That happens now 365 times a year in poker. So that’s not the story. Is the story something about trying to find out who the best poker player is? No... for a lot of reasons people aren’t convinced that’s the story, either. Is the game exciting? Well, a lot of people aren’t even sure that’s the story. The fact is, there’s a lot of trouble with the narrative right now in the poker world. SSS: Like you say, the editing and choice of shots and atmosphere are all important, but as a commentator you had a hand in the shaping of the story, too. Tell me, when you did the commentary for the first series, where did the idea come from to use a pseudonym -- to take your character’s name [from Shut Up and Deal] and be “Mickey Dane”? JM: Well, we got in there and were doing the commentary and they said it was going to be awkward if you’re commentating on yourself, so why don’t we just pretend it’s somebody else? JM: Right, it just worked out. It never really came up, because I didn’t last that long anyway (laughs). There was so much care taken with Late Night Poker. Nowadays a lot of commentating will be done live, but this was all done in post-production, and you could really be a perfectionist back then. And there was a real camaraderie among those guys, too. No one was really making money at poker back then. Everybody was trying to survive as well as they could, but it still two or three years before people really started to think they could do well at poker. You know, once online poker started and sponsorships came and so forth. It was a special time. Thanks again to Jesse for this one! Check out as well his memories of Dave “Devilfish” Ulliott over at PokerNews.